They do service work for us, and they do a good job. I liked that they always showed up. They're amazing. I've been using them for ten years and have never had to micromanage them. They make it easy for me. I like how effortless it is to use them as a vendor. I recommend them. They'll get the job done. Valley Oak Landscaping, Inc. provides landscape services for residential and commercial clients in Sonoma County and Northern Marin County. 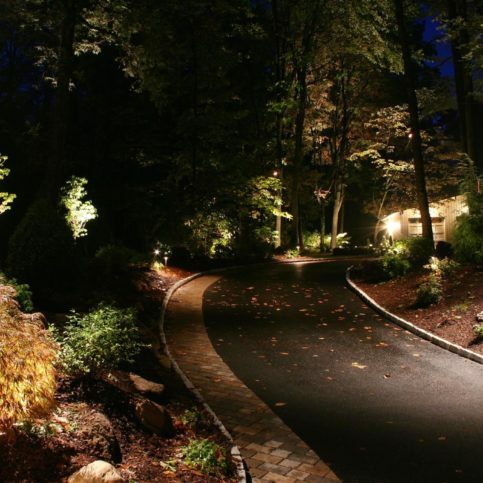 In addition to creating custom landscapes that feature everything from patios, decks, fences and arbors to ponds, retaining walls and lighting systems, the company offers a variety of maintenance services that are designed to maximize the efficiency of its customers’ landscapes, including irrigation system installation and management, tree care, pest control, and more. DIAMOND CERTIFIED RESEARCHED CAPABILITIES ON Valley Oak Landscaping, Inc.
Company Name: Valley Oak Landscaping, Inc.
DIAMOND CERTIFIED RESEARCHED ARTICLES ON Valley Oak Landscaping, Inc. 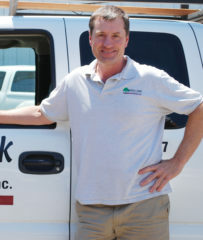 Owner Greg Baker stands next to one of Valley Oak Landscaping’s service vehicles. 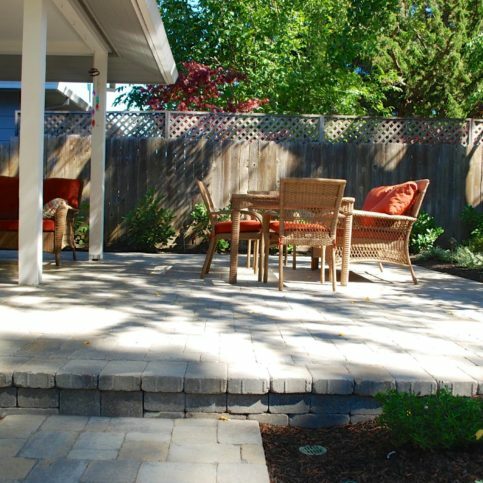 Valley Oak Landscaping has been providing landscape services for residential and commercial clients in Sonoma County and Northern Marin County since 1980. 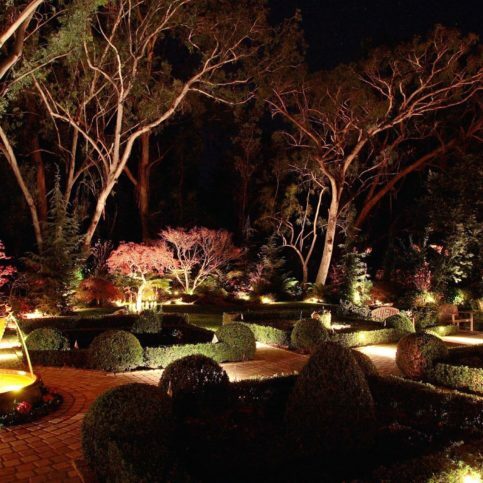 The company creates custom landscapes that feature everything from fences, decks and arbors to retaining walls, ponds and lighting systems, and it also offers commercial maintenance services such as tree care, pest control, and irrigation system installation and management. If you’re a homeowner, consider the benefits of replacing your lawn with a drought-tolerant landscape. A growing trend among Bay Area homeowners is swapping water-guzzling lawns for more economical alternatives. Drought-tolerant landscaping (also known as xeriscaping or smartscaping) offers a fresh approach that seeks to minimize a property’s water consumption while maximizing its functionality and aesthetic value. For some, the term “drought-tolerant” may evoke desert-like images, but most homeowners are surprised at how lush and colorful water-conserving gardens or yards can actually be. 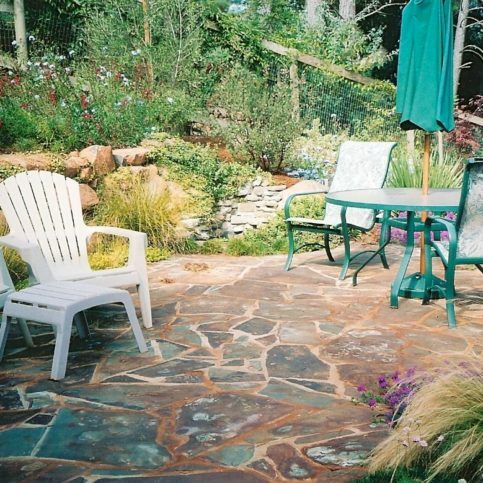 In order to fashion yards that are simultaneously water-wise and eye-catching, drought-tolerant landscaping places a heavy emphasis on creative design. Unlike traditional lawns, which easily fill out large areas of properties, drought-tolerant landscapes require more innovative strategies and arrangements. For instance, a diverse grouping of succulents and California-native plants situated within a mulched area and accented with ornamental grass can offer aesthetic intrigue while minimizing water consumption. 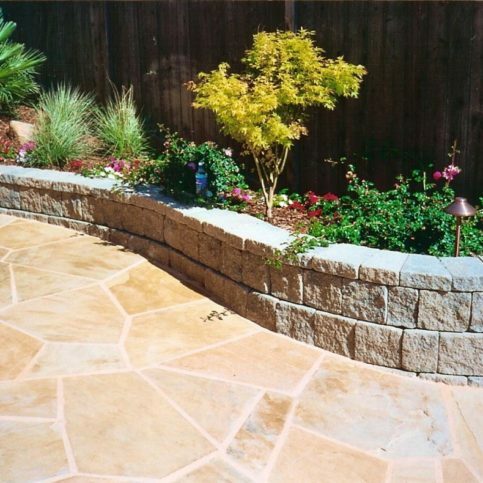 Additionally, the incorporation of hardscape features like flagstones and artistic elements like stone sculptures can further enhance a drought-tolerant yard’s visual appeal. For those who prefer the look of a uniform green lawn, there are several alternatives that replicate the properties of traditional grass while requiring a fraction of the water. Lawn-like substitutions (often referred to as “ground covers”) range from clover and moss to varieties like Blue Star Creeper and Elfin Thyme. While each variety emphasizes different qualities—for example, some are purely ornamental while others are more tolerant of foot traffic—by doing some research, you can find a lawn substitute that best fits your needs. Another option that’s growing in popularity is synthetic lawns, which have come a long way in terms of offering an authentic look and feel. Although drought-tolerant landscaping’s top priority is water conservation, this often goes hand-in-hand with a secondary goal: minimizing maintenance. While this is already a natural byproduct of installing plants that require less water, the installation of a sublevel drip irrigation system can make maintaining your yard or garden practically effortless. Q: Do you offer landscape maintenance services? A: Yes, but only for commercial properties. Even though we don’t do residential maintenance, we do maintain every new project for the first month to make sure everything is well-established and functioning properly. Q: Do you design landscapes? A: Yes, we do all our own design work and can come up with a unique plan for your specific needs. Q: Is the company owner present on the jobsite? A: Yes. Even though Greg [Baker] doesn’t perform the physical work, he stops by the jobsite at least once a day to oversee things and touch base with the customer. Q: Do you work on trees? A: Yes, we have a certified arborist on staff, so we’re able to provide a full range of tree services. A: On average, most of our employees have been with us for 10 to 20 years. SELECTED PHOTOS FROM Valley Oak Landscaping, Inc.
Greg Baker is a 41-year veteran of the landscaping industry and owner of Valley Oak Landscaping, Inc., a Diamond Certified company. He can be reached at (707) 207-6829 or by email. A: Fall. I like the way the air feels and all the beautiful colors. Q: If you could travel to another country, where would you go? A: Probably France. I almost went there a few years ago, but I ended up spending too much time in Italy. A: Willi’s Wine Bar in Santa Rosa. A: Turn on the fire, cozy up under a blanket and watch a good movie. SANTA ROSA — In response to the drought conditions that California is currently facing, many Bay Area residents are converting their existing water sprinkler systems to drip irrigation. While this is a great water-saving measure, a critical yet often overlooked aspect of installing a drip irrigation system is protecting it from exterior elements. There are several sources of potential damage that threaten an exposed drip irrigation system. One is exposure to sunlight, which can cause irrigation hoses to become corroded over time. Likewise, local wildlife can be a concern, as animals like deer are known to chew on water emitters in an attempt to get hydration. When a drip system’s hoses and emitters become damaged, it often results in leaks, which can compromise the reason for having the system installed in the first place. The best way to protect your drip irrigation system from these and other sources of damage is to bury it beneath the soil. In addition to providing protection from damage, burying a drip system situates it closer to the plants’ root zones, which reduces evaporation and makes for even more efficient watering. SANTA ROSA — Host, Sarah Rutan: If you have a drip irrigation system on your property, you may benefit from a few helpful tips. Today we’re in Santa Rosa with Diamond Certified Expert Contributor, Greg Baker of Valley Oak Landscaping to learn more. Diamond Certified Expert Contributor, Greg Baker: With the drought conditions that all of California is facing, many people these days are converting their sprinkler systems to drip systems. One important aspect of installing a drip system is to bury it beneath the earth. Placing it under the mulch or on the surface just is not adequate. Several things that can happen is number one the sun corrodes it over time so you can get holes and leaks, then you’re using much more water than is necessary. Animals can step on it and break it, such as deer. And animals actually go to that water source and will chew on it looking for water, especially during these drought conditions. So, I recommend to always bury your drip system below the soil. Diamond Certified RATINGS ON Valley Oak Landscaping, Inc.
Valley Oak Landscaping, Inc. : Average 9.4 out of 10 based on 169 unique customer surveys of customer satisfaction. They are a solid company. I'm the ground manager and I haven't really seen a company so experienced with vineyard areas as much as they are. They know about cross contaminations and pollinations so they are careful with what they bring and blow around. They're very personable. They really listen to what you want and your ideas. They make really good choices of which plants to use based on your ideas. I liked the personal attention and how receptive all of the workers, the foreman and the owner were. I felt I could talk to anyone or ask anyone any questions and get whatever help I needed. They also offered to replace some of the plants that didn't seem to be doing so well. They are great, no complaints from us. I would recommend people use them or at least reach out to them. They help with our properties they cover and others we manage. They are flexible with scheduling. They are reliable, honest, and they do great work. We are a business/vineyard so we need to have the place looking as best as possible. I liked everything, including the quality work and the good price. I think they are good. I have recommended them before to a couple neighbors. I don't know. They do their job. They are a great company to work with if you have or manage multiple properties. They bill easily and they are able to generate results. They are really good at maintenance, better than the last three people we had here. I would say their ability to keep our property looking nice, it sounds simple, but many have failed. They were able to get the job done, how we wanted it. They were quick. I would recommend them. They are a good company to hire, I haven't had any issues all these years. I liked that they were responsive. I liked the work and the overall experience we had with them. My husband dealt with them most of the time, but he only had good things to say as well. I would tell others to give them a ring. I liked the way they handled the business we brought them. They had the ability to work with a non-standard area. We live out in the woods and it has been challenging, even for others to design and plan on our property. We love the work they do. We bring them in on a lot of project we consult for or do, they are great. We would honestly bring them on all of them, but they are limited to the area they are in. The professionalism and billing is really easy. On time, on budget and very professional, they are great. I liked the professionalism I received from them. I like the guys who come out. They are a little costly, but they are worth it. They got the job done, kept the area clean, and didn't damage anything. I thought they were very upfront about the price and the quality was good. They were also timely in getting the job done. I liked the way they just handled the whole job professionally. I liked working with them. They help us at a couple locations they cover. It's easy to use them. I call and they show up.